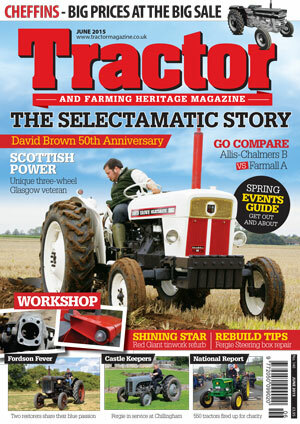 Here’s a don’t-miss date to circle on your calendar: March 23rd and 24th 2019, for the Scotland Tractor World & Classic Commercial Show at the Royal Highland Centre, Edinburgh. 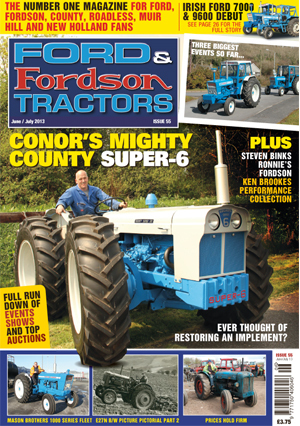 Following the hugely successful inaugural show in 2018, the interactive weekend of all things new & vintage tractor, machinery and classic commercials returns, extended and upgraded for 2019. A bigger show means more club stands, tractors & vintage machinery, classic commercials & vans, horticulture and model displays. This year, there’s more trade stands including new tractor dealers, from Veteran and Vintage classics to the latest new models. Register now for the weekend display, or just drive up for the open classic commercial drive in day on Sunday. Browse the specialist parts trade stands, gift, book and model stalls, plus Saturday’s huge Vintage auction, hosted by specialists Pentland Auctions. Throughout the weekend, sponsors Kelsey Media will be there to chat over the latest news, magazines and promotions. Now extended over three huge exhibition halls, the show is 90% indoors, so fully sheltered from any Scottish spring breezes! Discounted tickets are already available online, making it the perfect Christmas present for the tractor and commercial vehicle enthusiast, and indeed the whole family, to look forward to. Parking includes disabled and coach parking facilities. The venue is easy to get to from public transport and all major routes, including Edinburgh airport close by - just follow the airport signs. Online discounted tickets including day, weekend and camping on sale now at on the “Buy Tickets” page. Under 15s go free, and dogs on leads welcome. For exhibitor and trade stand entry forms and information here on site or call: 016974 51882. Auction entries: www.pentlandlivestock.co.uk or call Graham Burke: 07547 369295. 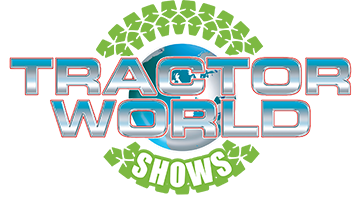 See regular show updates on the website and at ‘Tractor World Shows’ on Facebook.